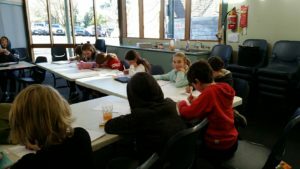 I have run many creative writing workshops for children (and adults) and worked with Arts Victoria as part of the Artist in Schools initiative. I've taught within the G.A.T.E.WAYS programs for gifted children, and for three years I was a Diploma of Arts (Professional Writing and Editing) lecturer with Chisholm Institute of TAFE. 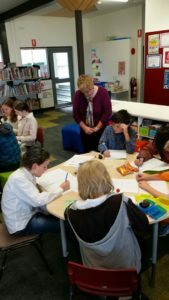 I love working with schools, libraries, bookshops and community groups to encourage kids' creativity and confidence. Children's Book Week. Theme: Find Your Treasure. 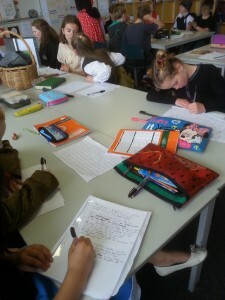 On Wednesday I chatted to Grades 5 and 6 at Upwey South Primary about planning and editing your writing. On Thursday I ran workshops at St Thomas More Primary with the whole school. Told the littlies a story featuring Pirates on Puffing Billy. Grades 3 and 4 filled in worksheets about finding a treasure - either a silver lizard or a pharaoh's mask. Grades 5 and 6 delved deeper and thought about their own personal treasure and why it was so important to them. Lots of writing and laughter. July 2nd Ran a very successful workshop yesterday - Whodunnit? 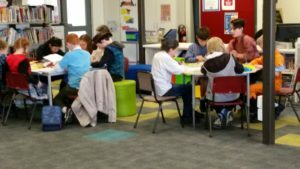 - for 9-12 year olds at Belgrave Library. Fourteen girls and boys attended, there was even a waiting list! Some great work and amusing ideas. Because the workshop only went for 90 minutes I offered a bonus: any participant who continues with their story can email it to me for feedback. Offer only lasts until the end of the holidays! I look forward to some interesting reading. Hard at work during the Belgrave workshop. Held a workshop at Mount Waverley library on writing crime stories. A packed house! 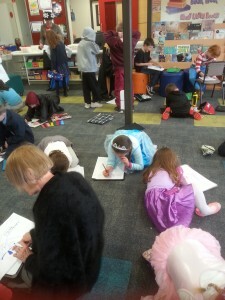 In July I ran Evil Villains and Super Heroes at Belgrave Library. 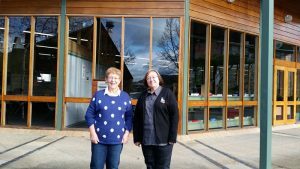 Here I am outside the library with Library Manager Sue Walters. 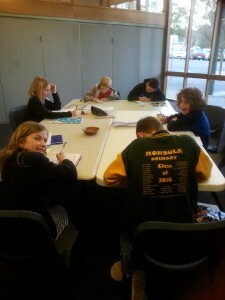 This year there was a series of creative writing workshops for kids aged 9-12 years at Belgrave Library. I also had a Book Week gig at a primary school in August - working with all classes from Prep to Grade 6.